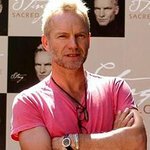 Sting and Trudie Styler will be joined by Paul Simon at a star-studded 25th Anniversary Rainforest Fund Benefit Concert on April 17. Joining the lineup will also be James Taylor, Dionne Warwick, Ivy Levan, trumpeter Chris Botti and opera singer Renee Fleming. The concert will take place on the Perelman Stage at Carnegie Hall to raise awareness and funds for the important work the Rainforest Fund provides to communities of indigenous peoples throughout Brazil and other countries including Belize, Cameroon, Costa Rica, El Salvador, Guatemala, Guyana, Honduras, Indonesia, Madagascar, Mexico, Nicaragua, Papua New Guinea, Peru, Suriname and Venezuela.